Peter McArthur is a member of the Austraian Imperial Forces, 5th Battalion. 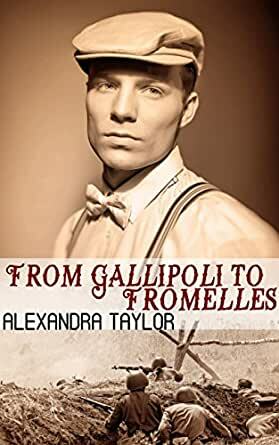 Follow his diary entries before and after the Battle of Frommelles. Captivating from the first line, the piece progresses at a steady pace to an ambiguous ending as one would expect for a short memoir of war. Peter is a fantastic Everyman narrator whose voice is clear, concise, and controlled throughout the entirety of his fictional journaling. All of the historical facts are blended into his entries with clever finesse which encourages the reader to accept Peter would know the numbers, dates, facts and figures as a participant in the war effort without it feeling as if it's information overload or text-walling of hard evidence of the events depicted. Overall, I'm glad I got the chance to read this one and, coming from a military family myself, it is an excellent look into the soldiering life from the front lines.